Barrister Simon McKay is a civil liberties and human rights law practitioner whose key area of specialism is national security law including terrorism and covert policing law, police powers, information, media and technology law — particularly where they intersect with public law, serious crime, regulatory and disciplinary cases. 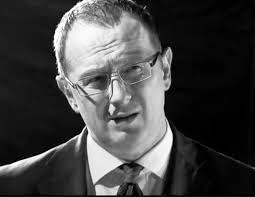 Simon has vast experience of dealing with the most serious criminal cases at trial and on appeal including appearing in the Court Martial and the Court Martial Appeal Court, He has also conducted numerous complex inquests and has advised and appeared in public inquiries. His civil work encompasses judicial review and actions against and, in some cases for, the state, police and other public authorities as well as media and technology law matters, usually where there is some cross over with the exercise of state powers. He has appeared extensively in regulatory and disciplinary proceedings, in particular sports disciplinary matters, having prosecuted serious sexual misconduct cases for a range of national sports bodies. Frequently appearing against some of the country’s leading QCs, Simon has also acted for solicitors, barristers, accountants and members of the medical profession in disciplinary proceedings. If you are thinking of instructing Simon, the following pages will give you some background to his work, including details of recent and reported cases, his seminars and publications.